Open Source has fueled a massive part of the technology boom we are all experiencing. Even in the world of web scraping tools, open source tools play a large part to help gather data from the Internet. We will walk through open source web scraping frameworks and tools that are great for crawling, scraping the web, and parsing out the data. You can click here or on the image above to get the full view of the chart. 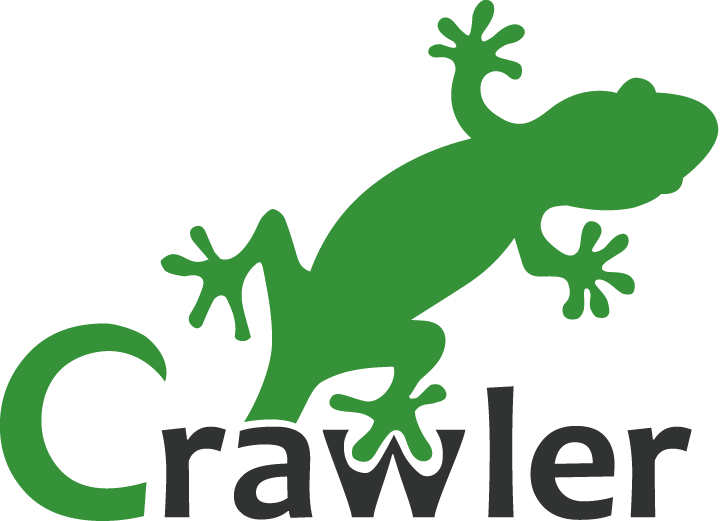 Scrapy is an open source web scraping framework in Python used to build web scrapers. It gives you all the tools you need to efficiently extract data from websites, process them as you want, and store them in your preferred structure and format. One of its main advantages is that it’s built on top of a Twisted asynchronous networking framework. If you have a large web scraping project and want to make it as efficient as possible with a lot of flexibility then you should definitely use Scrapy. Scrapy has a couple of handy built-in export formats such as JSON, XML, and CSV. Its built for extracting specific information from websites and allows you to focus on the data extraction using CSS selectors and choosing XPath expressions. Scraping web pages using Scrapy is much faster than other open source tools so its ideal for extensive large-scale scaping. It can also be used for a wide range of purposes, from data mining to monitoring and automated testing. What stands out about Scrapy is its ease of use and detailed documentation. If you are familiar with Python you’ll be up and running in just a couple of minutes. It runs on Linux, Mac OS, and Windows systems. Scrapy is under BSD license. MechanicalSoup is a python library that is designed to simulate the behavior of a human using a web browser and built around the parsing library BeautifulSoup. If you need to scrape data from simple sites or if heavy scraping is not required, using MechanicalSoup is a simple and efficient method. MechanicalSoup automatically stores and sends cookies, follows redirects and can follow links and submit forms. MechanicalSoup is licensed under MIT. One of the advantages of PySpider its easy to use UI where you can edit scripts, monitor ongoing tasks and view results. If you are working with a website-based user interface, PySpider is the Internet scrape to consider. It also supports AJAX heavy websites. To know more about PySpider, you can check out their documentation and or their community resources. It’s currently licensed under Apache License 2.0. Portia is a visual scraping tool created by Scrapinghub that does not require any programming knowledge. If you are not a developer, its best to go straight with Portia for your web scraping needs. You can try Portia for free without needing to install anything, all you need to do is sign up for an account at Scrapinghub and you can use their hosted version. Making a crawler in Portia and extracting web contents is very simple if you do not have programming skills. You won’t need to install anything as Portia runs on the web page. With Portia, you can use the basic point-and-click tools to annotate the data you wish to extract, and based on these annotations Portia will understand how to scrape data from similar pages. Once the pages are detected Portia will create a sample of the structure you have created. Actions such as click, scroll, wait are all simulated by recording and replaying user actions on a page. Requirements – If you are using Linux you will need Docker installed or if you are using a Windows or Mac OS machine you will need boot2docker. With its unique features like RequestQueue and AutoscaledPool, you can start with several URLs and then recursively follow links to other pages and can run the scraping tasks at the maximum capacity of the system respectively. Puppeteer is a Node library which provides a powerful but simple API that allows you to control Google’s headless Chrome browser. A headless browser means you have a browser that can send and receive requests but has no GUI. It works in the background, performing actions as instructed by an API. You can truly simulate the user experience, typing where they type and clicking where they click. Puppeteer’s API is very similar to Selenium WebDriver, but works only with Google Chrome, while WebDriver works with most popular browsers. Puppeteer has a more active support than Selenium, so if you are working with Chrome, Puppeteer is your best option for web scraping. Web scraper, a standalone chrome extension, is a great web scraping tool for extracting data from dynamic web pages. Using the extension you can create a sitemap to how the website should be traversed and what data should be extracted. With the sitemaps, you can easily navigate the site the way you want and the data can be later exported as a CSV or into CouchDB. The advantage of webscraper.io is that you just need basic coding skills. If you aren’t proficient with programming or need large volumes of data to be scraped, Webscraper.io will make the job easier for you. The extension requires Chrome 31+ and has no OS limitations. It cannot be used if you have complex web scraping scenarios such as bypasing CAPTCHA, submitting forms, etc. These are just some of the open source web scraping frameworks you can use for your web scraping projects. If you have greater scraping requirements or would like to scrape on a much larger scale it’s better to use web scraping services. If you aren’t proficient with programming or your needs are complex, or you need large volumes of data to be scraped, there are great web scraping services that will suit your requirements to make the job easier for you. You can save time and get clean, structured data by trying us out instead – we are a full-service provider that doesn’t require the use of any tools and all you get is clean data without any hassles. Best practices and systems when scraping the web yourself on a large scale.